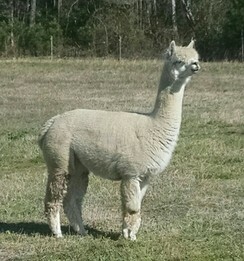 Achilles is a beautiful full Accoyo male with an exceptionally fine fleece. His conformation is correct and so is his bite. He is well-covered from his full topknot to the tips of his toes. Achilles is now breeding. 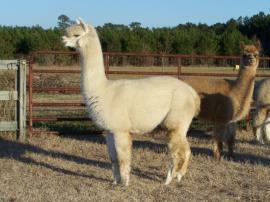 Owned with El Corazon en las Nubes, Alpaca Palms and Critter Country Alpacas. 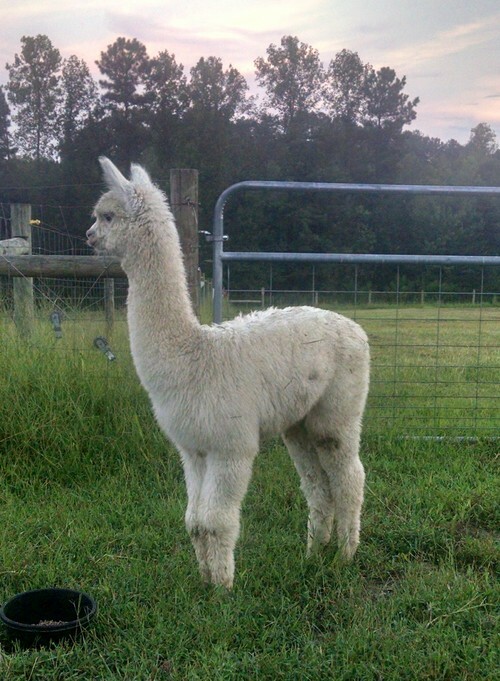 Baby Spice is a gorgeous alpaca! She has buttery soft fleece with an excellent handle. Check out her impressive fiber stats and winnings. 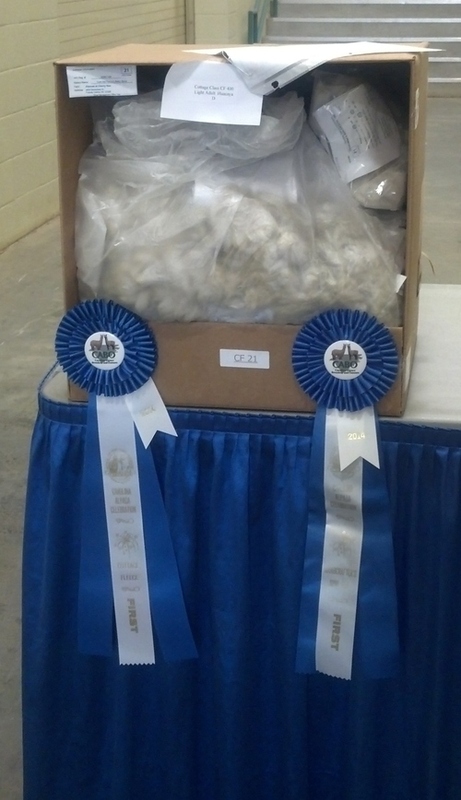 She has excellent conformation and a nice architecture to her fleece with an adequate staple. She has very low number of extending primaries in her fleece and better than average density. On closer inspection she is a beige with a light fawn spot or two which you can really only see after shearing. She came from California so her genetics are not common here. She is the daughter of Accoyo America Achilles, a well known PCA El Nino son. Her dam is a patterned Chilean import with a great production record. Ms. Spice, as I call her, is classy, has stunning stature, is good natured and easy to work with. Spice is proven, a good mom and fun to interact with, she has a great sense of humor. Ms. Spice is a foundation female with impressive lineage. 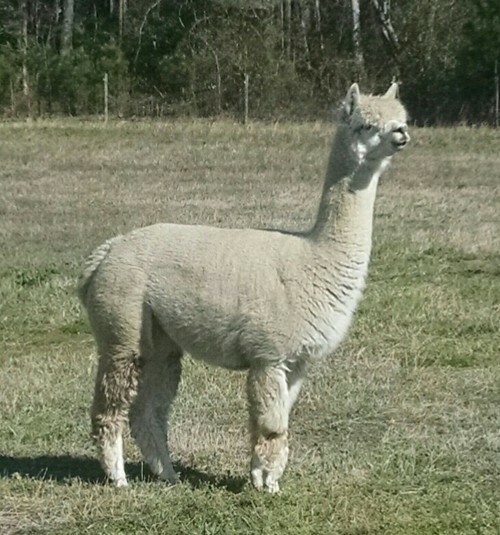 She will add dimension to your herd or in a starter herd. 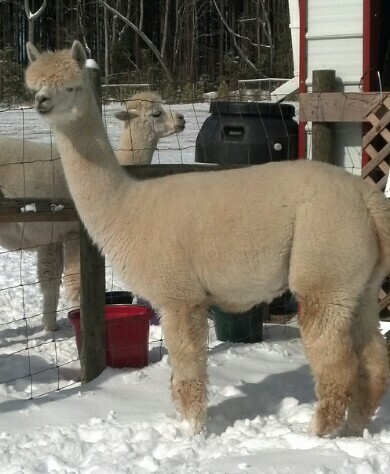 She is selling with a breeding to one of the sires on my farm. We can work out financing terms that meet both our needs. This generally means a down payment with the amount due within six months.